Digital marketing tools and techniques used by one business won't necessarily help another. As your business grows, your content team is growing, and when that happens, the team might outgrow your current tech stack. In this post, we're showcasing the impact that your tools can have on team's efficiency and setting you up with the tech recommendations you need to move forward. Not necessarily. It's sort of like the phrase "mo' money, mo' problems." When you add more people, sometimes you add more work. But isn't that what a content manager is for? Sure. However, the way a content manager organizes the workflow can either slow everyone down or produce an agile team that's always in #beastmode. 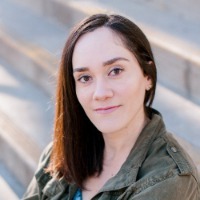 The content manager assigns a piece of content to a writer, who submits it using Google Docs. After some back and forth editing, the Google Doc is Slacked over to whoever enters the post into the CMS, such as WordPress or Webflow. Then after it's live, that person tells the content manager, who uses another tool to schedule social media posts or tells the social media person that the post is ready to promote. A big part of the problem is having the wrong tools and processes. So, let's discover the digital marketing tools and techniques that will help your content team move fast! Over the next few weeks, we'll be featuring content especially for content teams. So be sure to check back on our blog for more help with improving team structure and workflow. Today, we're talking all about tools and techniques. Content marketing without strategy is like eating Thanksgiving dinner without taking a nap afterwards. Just. Don't. Do. It. 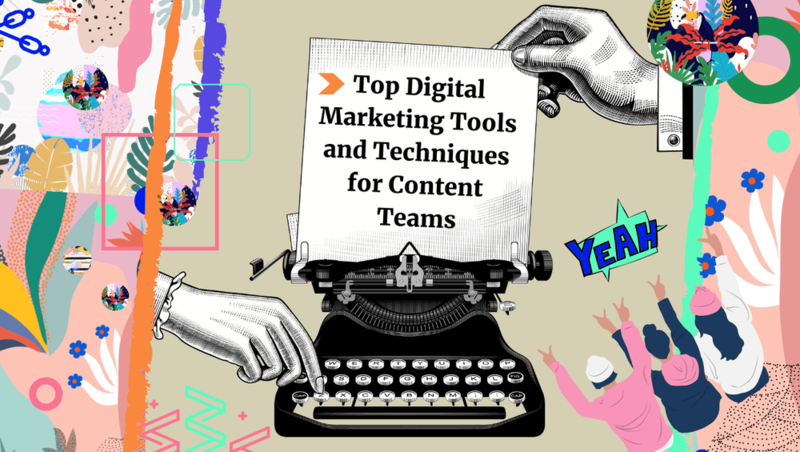 We've scoured the web for the coolest digital marketing tools and techniques that help you build out a content strategy that produces ROI. Are you a StoryBrand fan yet? If not, you're missing out. Check out this review of Donald Miller's book Building a StoryBrand: Clarify Your Message So Customers Will Listen. Or better yet, pick up a copy or listen to the audio version. 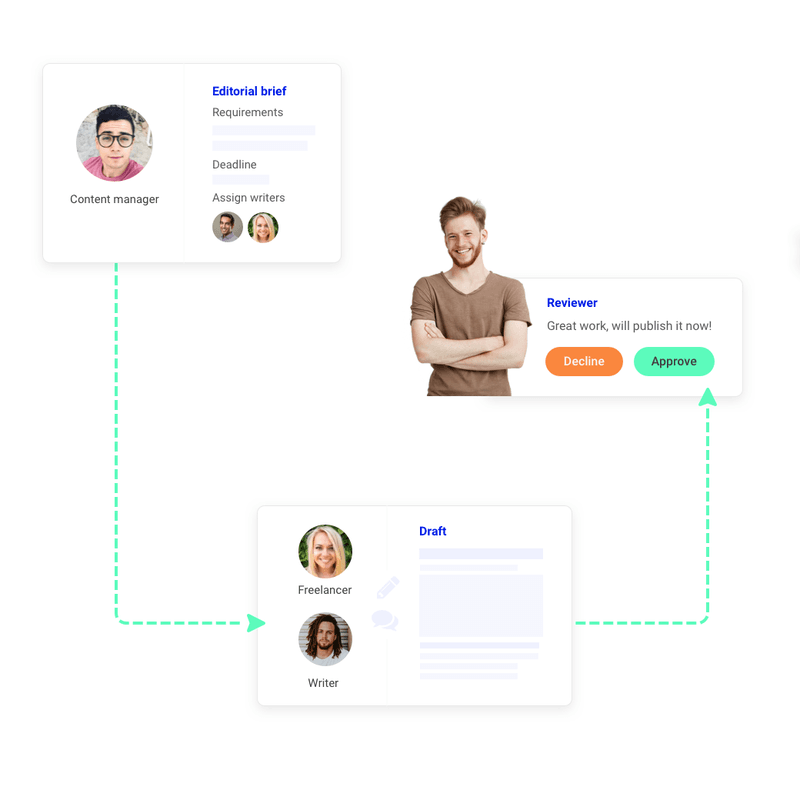 StoryBrand is essentially a 7-part framework for creating a messaging strategy that resonates with customers, and is often used to inform website copy and funnels. 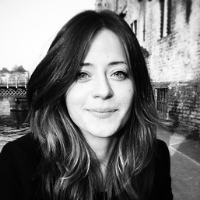 So why, you might ask, am I mentioning it for creating your content strategy? That's because StoryBrand takes you through the process of understanding your customer as the hero of their own story, including the challenges and issues they face on their path to their designed outcome. Creating your own script with their online tool can help you develop content that solves common problems for your customers, which puts you in a better position to sell your product or service after they've engaged with your content. 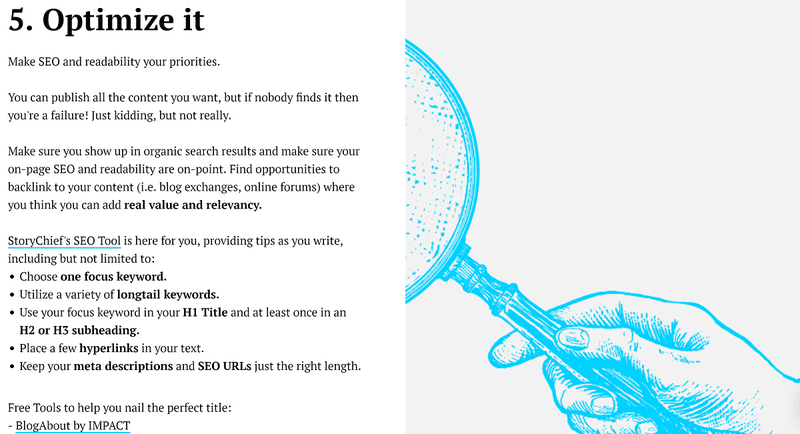 What better resource than a checklist to help you build out your content strategically? With content marketing strategy in check, let's move on to the other headache that content teams face: collaboration! 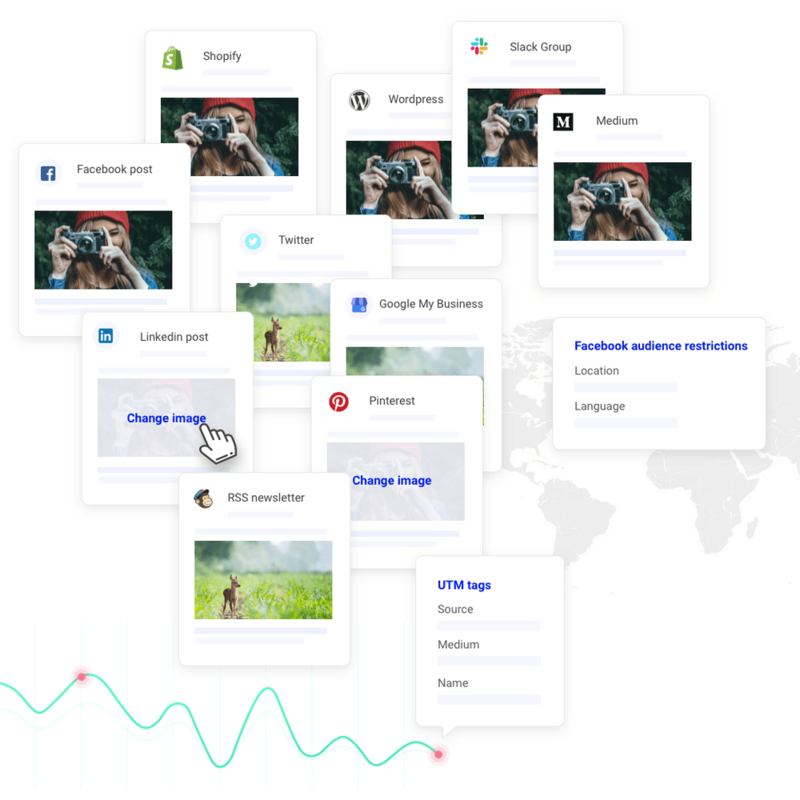 With StoryChief, your content workflow instantly gets a powerboost. Instead of using separate tools to plan, write, publish and promote, you can bring everyone in your team in one central place. 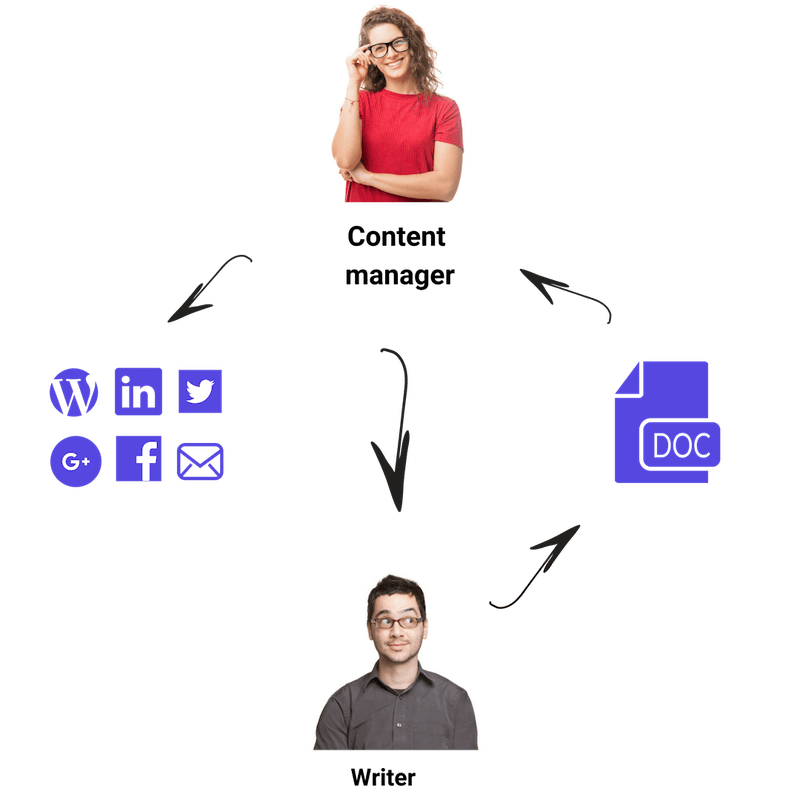 A content manager can assign a piece to a writer, who drafts and submits it in the platform. The content manager makes any necessary edits and publishes it to every platform and channel that matters to the business. Writing, editing, publishing, sharing on social media and sharing with brand ambassadors all happens inside of one place that is super easy to use. There's a chance you already have a task management tool that you use. But do you love it? Like really, really love it? 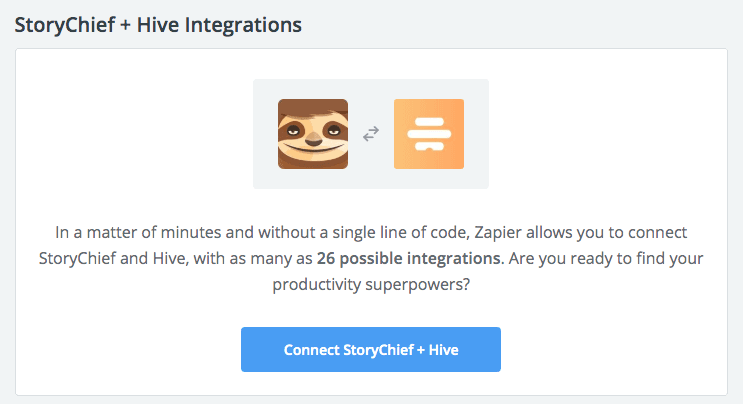 Also, a Zapier integration between Hive and StoryChief lets us supercharge content promotion tasks like managing influencer and brand ambassador relationships. Slack is a must-have for modern content teams. With chat-style messaging, Slack helps reduce back-and-forth emails discussing content outlines, drafts, graphics etc. What most companies do is create one channel for the entire marketing team. We recommend that you dedicate a channel to content-marketing and, depending on the size and complexity of your team, possibly more channels. You could have a channel that's for everyone in content (including regular guest contributors), or a channel where guest contributors can ask the content manager questions without that being seen by other internal marketers. Setup your channels in a way that will let you save time on content collaboration. Sure, you could use Google Hangouts. But then you'd be missing out on the feature that content teams need most: recording. The automatic recordings generated by Zoom will save your life on numerous occasions. You can use the recordings to grab quotes or to revisit an important screenshare. Zoom is also a super useful tool for content teams because you can have a dedicated Zoom room to hangout in. You can set daily or weekly digital office hours and work at your computer while logged into Zoom. If anyone else on the team has a question or needs to chat face-to-face, they can pop in at any time during your office hours — no need to go back and forth to schedule a time. Use the Content Writing Checklist for every new piece of content. The checklist will help you make sure that you're writing with a clear purpose, using the right tone and approach, delivering well-researched, well-written content that produces measurable results. Look no further for headline formulas. Sumo's is the best, I swear. 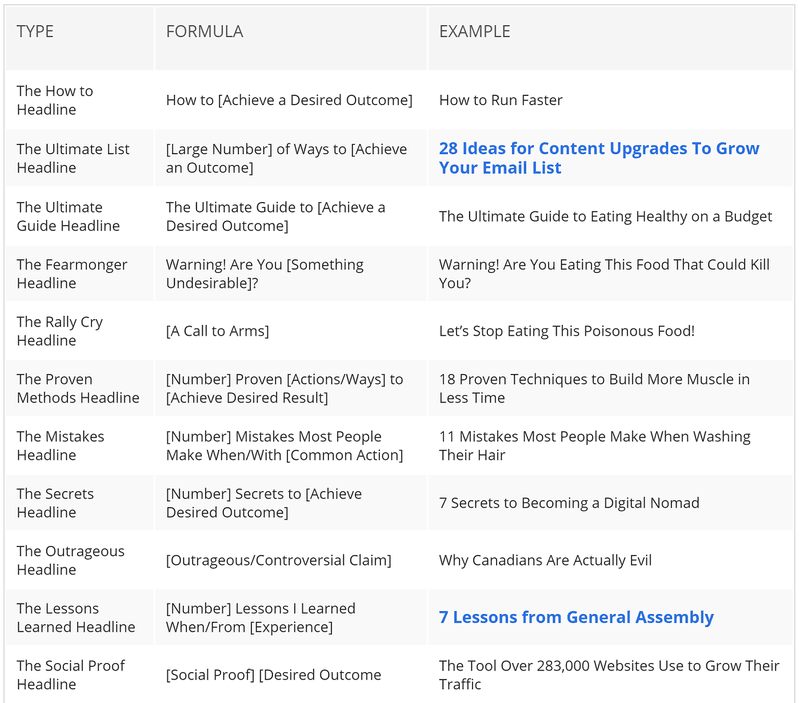 This resource has 51 headline formulas and examples, as well as tips on how to use them. Please, don't shy away from the technique of using formulas. Too often, writers wrongfully assume that it's a newbie move, or that it means they're taking the easy way out. But the fact is that formulas are relied upon by the pros, and you'll regret not using them to increase your click-through rates. While Grammarly is marketed to non-writers, the Hemingway App is the cool kids free tool for writing as smooth as Hemingway himself. Hemingway was a proponent of short sentences and powerful words. 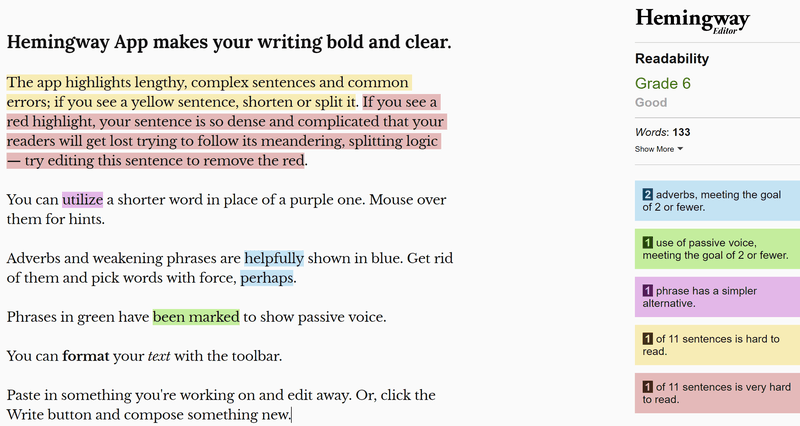 This tool will help you discover sentences that are hard to read, verbs that are weak, and adverbs that are unnecessary. 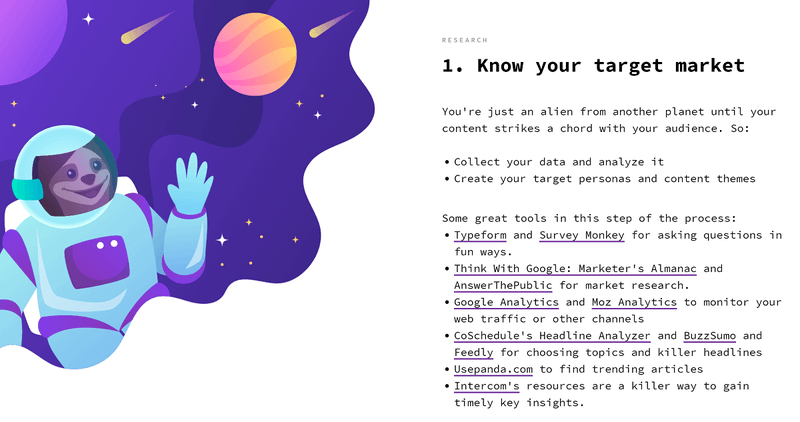 The Hemingway App has a simple readability analyzer function that will suffice for most content teams, but some writers will need a more authoritative estimate of their content's readability. The Datayze Readability Analyzer includes 6 unique readability scores including Flesch Reading Ease, the Flesch-Kincaid Grade Level and the Fry Readability Grade Level. Many consumer brands aim their content at the 6th grade level, while B2B businesses might aim for 8th or 10th grade. Content promotion can be an arduous task for content teams. Who's posting the content on LinkedIn? Who's asking relevant employees to share it? Who's uploading the podcast to Spotify? When you use the collaboration tools in combination with our content promotion tools, then all that confusion melts away. Hubspot is an industry favorite for measuring the success of your content efforts. You can track inbound leads, create a process to deliver qualified leads to the sales team, and determine which types of content produce the most qualified leads. If human sales are not a part of your conversion funnel, you can set up marketing automation to give prospects the right content at the right time and pull them closer to a sale. Question: Guess what most content creators aren't doing enough of? Answer: Repurposing their content and reusing their social media posts. You don't need to be everywhere at once, but you do need to be visible to your best customers, prospects and leads. That's hard to do when you feel pressured to come up with fresh content all the time. You don't have to reinvent the wheel every day. MeetEdgar is a tool that lets you repeat your social media posts. Don't freak out! The likelihood of the same person seeing your tweet or Facebook post twice is suuuuper tiny. With MeetEdgar, you organize social media posts into categories, and then set a schedule that pulls content from each category. The long reigning champ for email newsletters, MailChimp has been steadily growing their automation features. You can create complex sequences, send product recommendations based on the products that site visitors have looked at before (in the case of ecommerce), retarget your email list with Google Ads and create Facebook Ad audiences similar to your email list. These are all great features for the content manager who wants to promote content to a particular market niche. With Spotify now featuring podcasts, audio content can reach a whole new audience, even people who market subsets who don't typically listen to podcasts. Unfortunately, podcasts have been seen as having a high barrier to entry for many companies. Difficult to create, difficult to share and difficult to promote. Spotify is now introducing them to new audiences, and in terms of creation, we're seeing a trend towards shorter podcasts, even 10 minutes long. They don't have to be rambling interviews. They can be helpful riffs on a specific topic, or a collection of tips, or in some industries, even a short tutorial or how-to. In our section digital on marketing tools and techniques that help with collaboration, you've already learned about how bringing your content drafting, editing, approving and publishing inside StoryChief can produce mega time savings. But what about content promotion? StoryChief helps with that too. When you schedule your new post to go live — whether it's a long-form piece of content or an introduction to a Spotify podcast or YouTube video — you can also schedule that content to not only be published on your blog but to be shared across all of your favorite social media platforms, your email newsletter, and with your brand ambassadors and press connections. Bringing content planning, creation, publishing and promoting in one central hub is an absolute game-changer. When you lessen the amount of required tools used by your content team, you save time on unnecessary manual tasks so you can invest that time into getting better content results. Ready to transform how your content team works? Free everyone up to innovate and make better content. Request a demo of StoryChief PRO.